05 Jul 2018 --- A review of 18 studies on the role of diet and food intake on age-related macular degeneration (AMD) found that the Western diet had an increased association with the disease. AMD is the leading cause of vision loss in adults aged over 50 and diet has long been noted as a risk and protective factor. “Improving the quality of the diet, increasing the intake of foods that contain the nutrients required by the retina and avoiding foods that induce oxidative damage will play an important role in protecting against AMD,” says lead author Naoko Chapman, of the University of Auckland, New Zealand. Adherence to a Mediterranean diet was linked with a decreased risk of AMD progression. An Oriental diet pattern (with higher intake of vegetables, legumes, fruit, whole grains, tomatoes, and seafood) had decreased association with AMD prevalence, whereas a Western diet pattern (with higher intake of red meat, processed meat, high-fat dairy products, fried potatoes, refined grains and eggs) had an increased association with AMD prevalence. High consumption of vegetables rich in carotenoids and fatty fish containing omega-3 fatty acids was found to be beneficial for those at risk of AMD, the researchers noted, while high glycemic index diets and alcohol consumption of greater than two drinks a day had an increased association with AMD, they further explain. Age-related macular degeneration (AMD) is a disease that blurs the sharp, central vision you need for “straight-ahead” activities such as reading, sewing and driving. It affects the macula, the part of the eye that allows you to see fine detail. The disease is most common among older white Americans, affecting more than 14 percent of white Americans age 80 and older, according to statistics from the National Eye Institute. However, the disease is also prevalent in Europe. Across the EU, 17.1 million people are living with AMD and numbers are expected to increase by over 30 percent until 2040. Around 2.5 million of these 17.1 million cases are the more costly severe/late stage AMD. Regarding the progression of the disease, a study conducted by Frost & Sullivan found that a lutein-zeaxanthin (found in green leafy vegetables and eggs) combination may reduce the risk of a transition from mild to severe/late stage AMD by 7 percent. Frost & Sullivan calculated that the total cost of managing the consequences of severe/late-stage AMD in the EU is expected to be €89.46 billion per year. This includes the direct costs of treating and managing AMD and the indirect costs related to long-term care. This translates to an annual cost of a transition from mild to severe AMD of € 34,805 per transition in the EU. 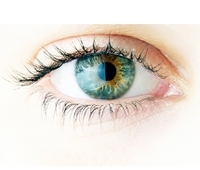 Therefore, the study concluded that savings of €6.20 billion (US$7.33 billion) a year could be generated through the daily consumption of 10mg of lutein in combination with 2mg of zeaxanthin by adults aged 50 and older in the EU with age-related macular degeneration (AMD). Therefore, it seems that diet may play an important role in the prevention of AMD, while supplementation may hold promise for those who already suffer from the disease and wish to see its progression limited. However, both studies highlight the needs for good nutrition to maintain eye health during the aging process.